We caught up with Alejandro Roberts, who has been a client with Mr. Kearney for more than a decade! He is originally from Florida and moved to Washington State when he was sixteen. Mr. Roberts started college in Augusta, GA in ‘93 and left in ’98 a few months after graduation. Met his wife Keneisha in college and then they moved here to Washington DC. 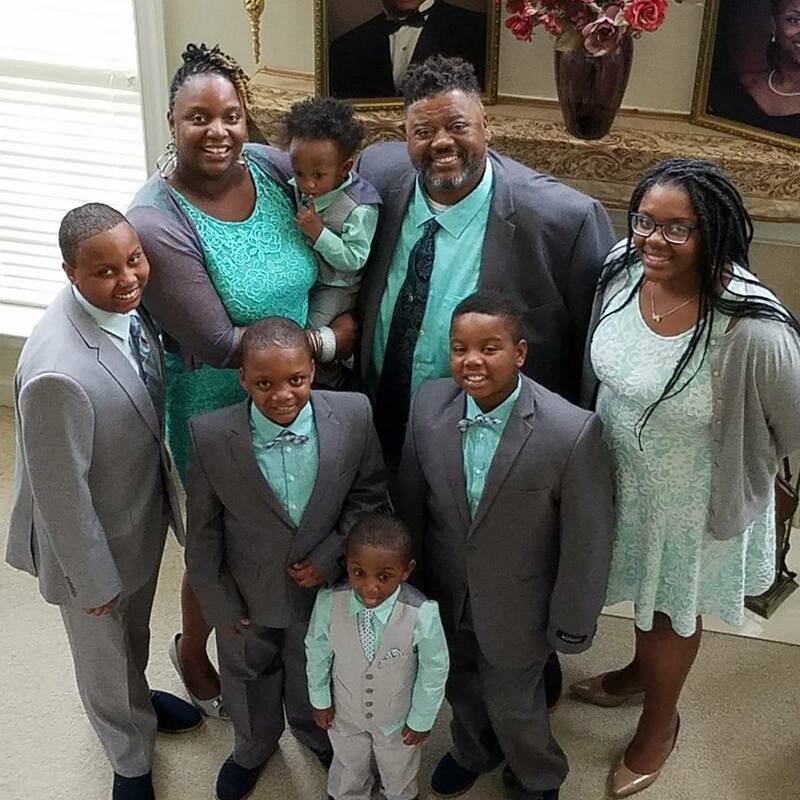 They have been married for 19 years and have six beautiful children (ages 3 – 17). Family is very important to Mr. Roberts. He has a daughter who is graduating this year (Alexia) and a son who is in 10th grade (Alejandro); a 6th grader (Elijah). He also has a 5th grader who is graduating (Alec). He has a four-year old (Alel) and a three-year old (Axel). Mr. Roberts and Keneisha have lived in the DMV for 18 years, alongside much of their extended family. His wife Keneisha Roberts is a homemaker and an entrepreneur. She owns and runs a multi-faceted children’s business: everything from hair to health and wellness. 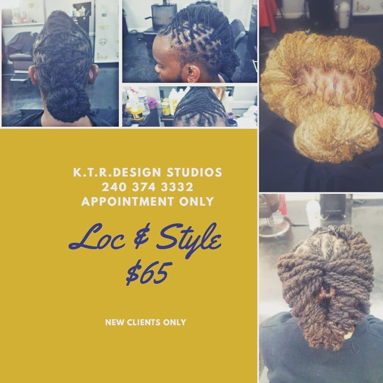 She is a licensed cosmetologist and also owns and runs a hair and makeup type business called K.T.R. Design Studios and Spa LLC. Mr. Roberts is a residential case manager working for Housing Opportunity Commission which is an agency that manages multi-family properties. Day to day he is a residential case manager for one sits: dealing with anything from connecting residents to services (bill pay, finding employment, creating resumes, social services) to property management/tenancy matters. He has been doing that since 2015. Mr. Roberts came to be Mr. Kearney’s client in 2003 – 2004: before Donahoe Kearney existed. He had a workers’ comp case when he worked at a psychiatric institute. He tore a ligament in his ankle, which caused him to be out of work for a couple of years. The company he had been working for tried to get the best of him. They were not interested in getting him workers’ comp, tried to fire him, tried to limit his medical treatment. They sent him to a “employer’s” doctor who misdiagnosed him and tried to send him back to work before he was ready. He contacted Frank Kearney, who immediately started working on his behalf: he got the workers’ compensation benefits flowing again and even got back pay for Mr. Roberts. Mr. Kearney litigated his case to a very favorable settlement, even after an unfavorable decision from a judge. As Mr. Robert’s tells it, Mr. Kearney never got upset or worried when it looked like things weren’t going his way. He said, “don’t worry this guy is an idiot and I’m going to take care of this for you.” And you know what –that’s exactly what Mr. Kearney did. Mr. Kearney is not the “ambulance chaser,” that you think about when you think about guys who do personal injury: he is the type of guy who works for your case. In fact, my wife just recently got hit by a Montgomery County school bus and I told her, even before the police got there, ‘Call Frank.’ She did, and he helped her right away. These days Mr. Roberts still has some lingering issues from his workers’ comp and his personal injury situations. Today he is back to work and just trying to raise his family, be a good dad, and a good husband. He is contemplating going back to school for his master’s degree in social work after his daughter graduates. He is helping his wife with her business interests and his kids with sports. We love working for people like Mr. Roberts, and that is what our law firm is all about. If you're looking for this kind of service, call us at (202) 393- 3320 and be sure to read over 100 Real Client Reviews to see if we can help you.